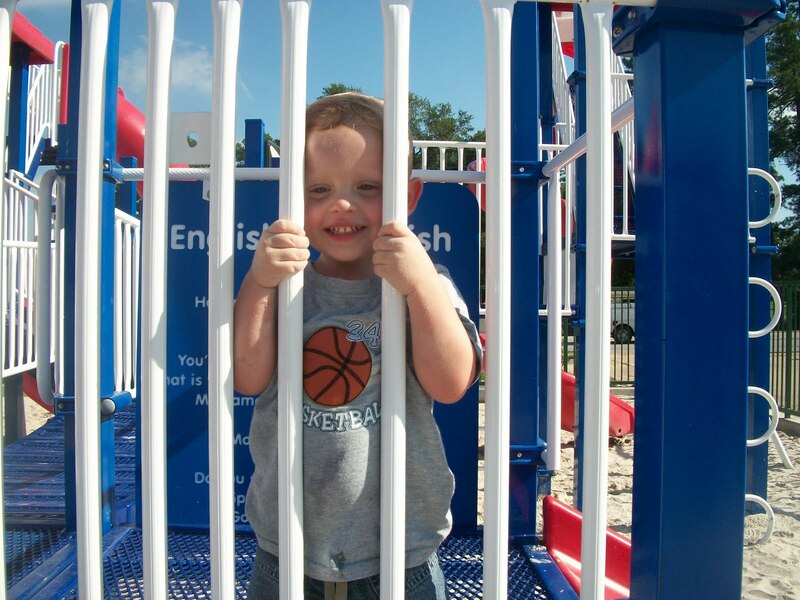 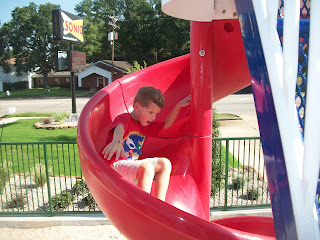 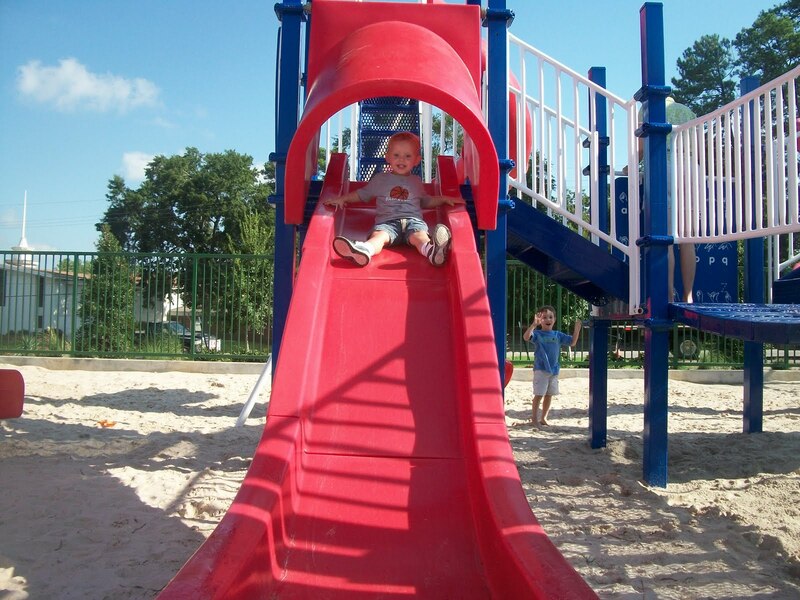 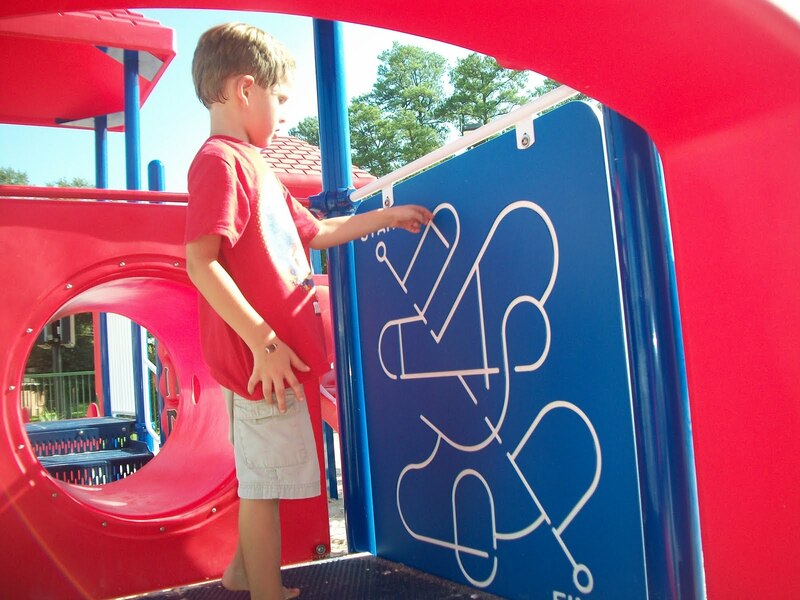 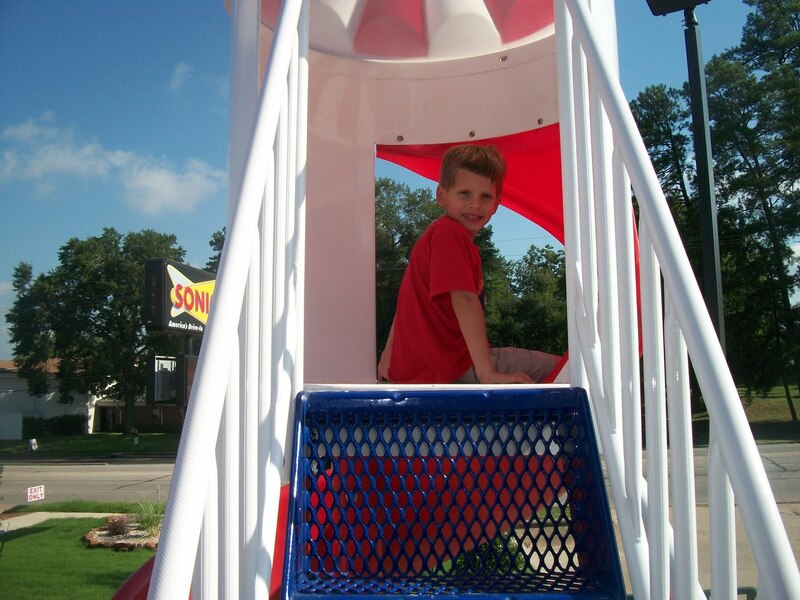 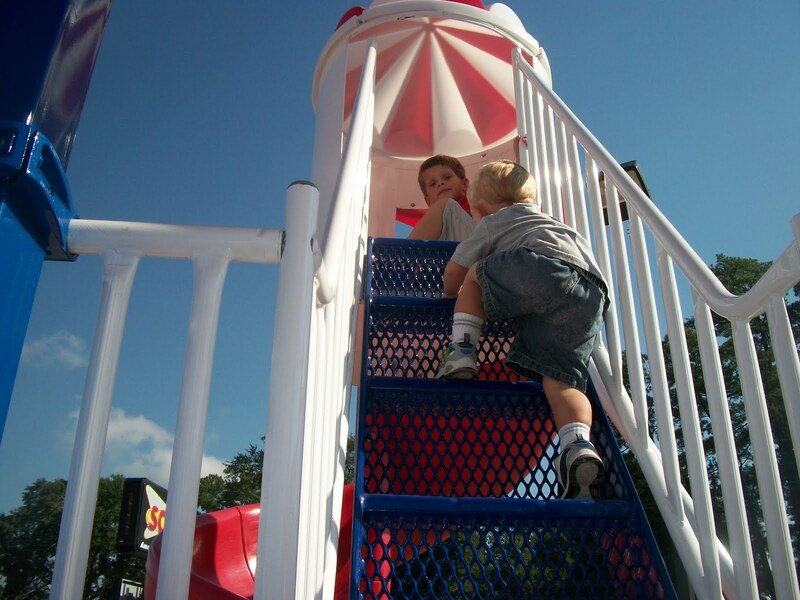 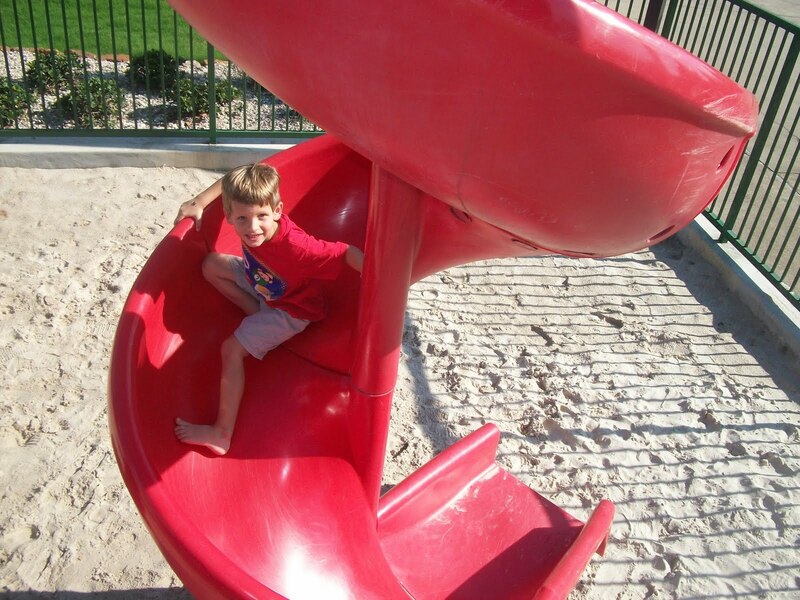 Pictures from a recent visit to the new playground at Sonic. New playgrounds are always so much fun!! 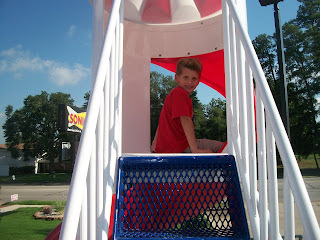 Dawson hanging out at the top of the tallest slide. 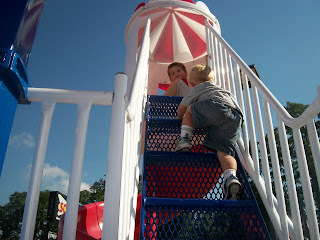 Brady climbing up to join Dawson, of course. 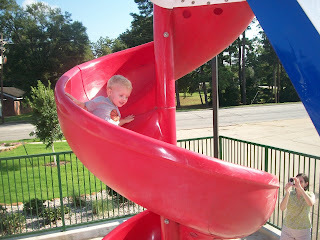 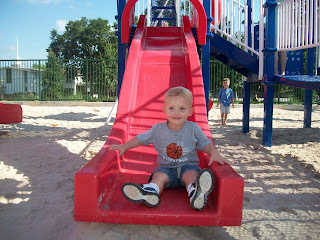 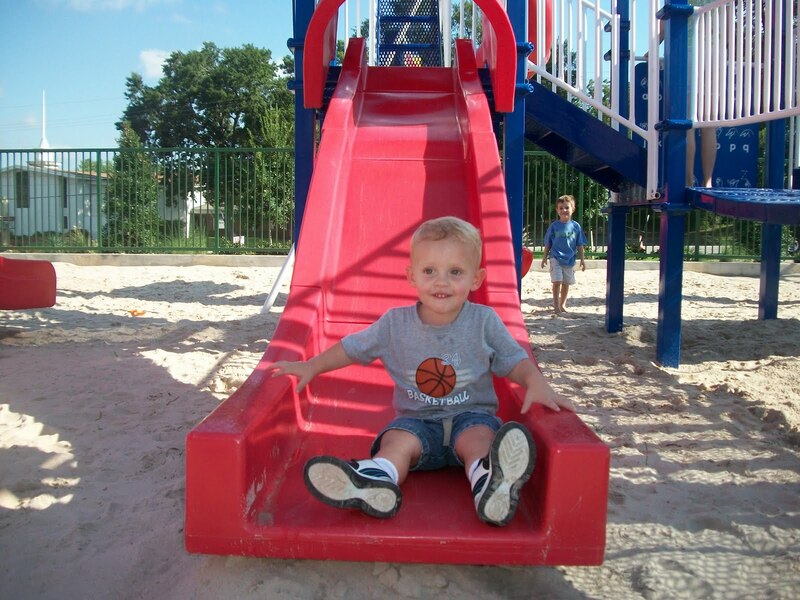 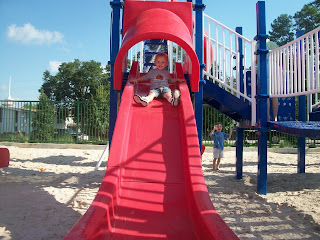 Little Brady going down the very tall twisty slide. 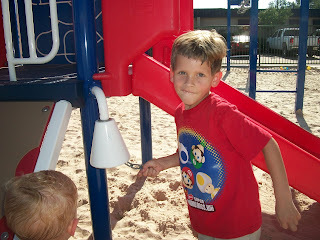 Ringing the bell - what a fun feature of the playground. 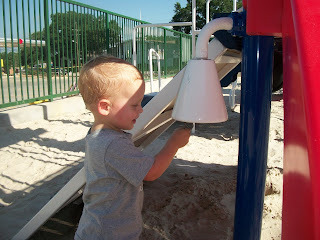 Dawson also loved ringing the very loud bell. 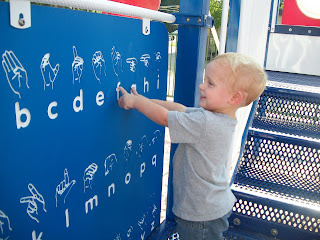 Brade excited about letters, as always.